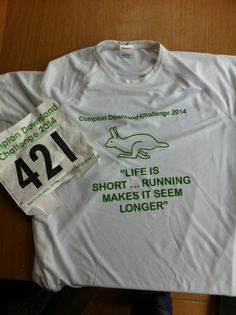 At 8am on Saturday 1st February 2014 a horde of super fit ultra-runners set off from the Norfolk/Suffolk border and ran north along the Peddars Way, an ancient Roman road, way faster than any Roman Legionary ever did. With me stumbling on in pursuit. It was an early start – I left the house about 4am to get to the finish line and park my car. It had been raining all night and stopped just as I arrived. Then onto the coach that was provided to get us the the start line. It was fairly cold at the start and I was itching to get going. 50 or so runners and a couple of dogs assembled. At 8am we were off. Considering it was February, I don’t think we could have asked for better weather, a tail-wind and some sunshine. Conditions underfoot were very muddy and at times we had to wade through water – not too deep initially, but feet were soaked. 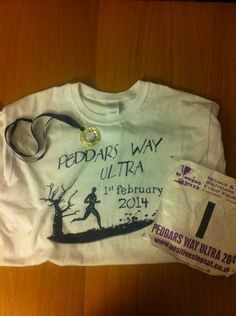 I made a joke with a fellow runner at one stage suggesting they rename it Paddlers Way. I’d bought a pair of Cold Weather DryMax socks for the run and I’ve got to say I was very impressed. A few minutes after wading through water the socks changed from completely water-logged to just wet – great design, I’m sure that helped keep my morale up. With hindsight I’d set off a little too fast – around 9 minute miles. I kept up this pace for about 15 miles, then started to fade. At the first checkpoint I had decided to fill up only 1 of my water bottles, but as my exertion level increased so did my thirst. This led to a slowing of pace to 11 and 12 minutes miles, as I struggled with my thirst. At North Pickenham we encountered a badly flooded field. I could see people up ahead wading through water up to their waist. I thought “Sod that” and decided to look for another way round. A couple of other runners followed, so did a friendly horse. We found a route into the village through a farmyard and saved a soaking. If you click the following photo you should be able to make out a neon-clad runner only visible from the waist up! Checkpoint 2 (27 miles) was at the Ostrich pub in Castle Acre, and I was eagerly anticipating the opportunity to refuel. Great checkpoint with soup, bananas and water. I spent about 20 minutes here assuaging my thirst, changing my socks (more DryMax) and putting on a fresh T-Shirt. I’d eaten a bit too much to compensate for eating very little at checkpoint 1 (why do I always seem to do this?!) and so my pace suffered until the food was digested, after which I was able to start picking up the pace again. At the last checkpoint (34 miles) I drank some coke and had a double espresso Clif Shot. I’d been caffeine-free for 10 days before the race to try and maximise the effect. It seemed to work and I was able to run more consistently after this and overtook a bunch of people. Another double espresso Clif Shot at mile 40 helped get me to the finish. I finished 31st in a time of 8 hours 42 minutes, which I was very happy with as you can see by the cheesy grin on my face. Kevin from Positive Steps PT did a great job of organising this, especially since it was the inaugural year. Great route that’s very easy to navigate, nice T-Shirt too. I thoroughly recommend this race. 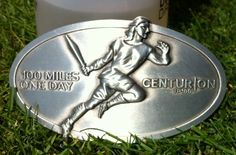 I ran the last few miles with a guy called Craig, you can read his account of the event here. Would love to give this a go having completed 4 London marathons and getting down to a 3.30 but not having done a marathon in last 12 months I am unable to apply. Sounds awesome though. That neon clad runner was me! Actually, despite getting soaked, and frozen, within 5 minutes I’d warmed up again – and my legs felt fantastic, like a recovery ice bath midway! Thanks. I’ll be returning too. Looks like the weather is going to be kind to us.